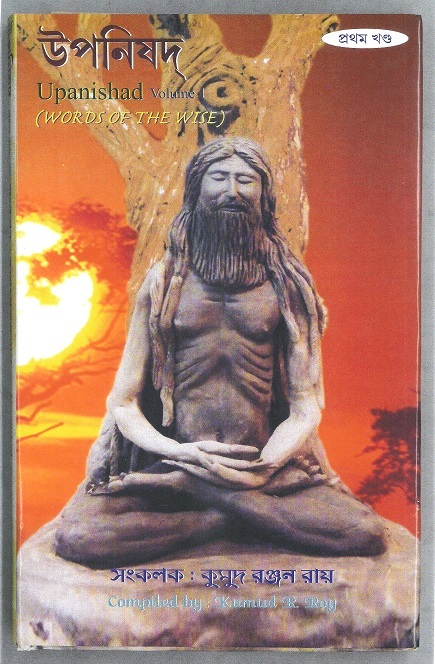 Babaji is one of the astonishing and mysterious sages of India. No information is available about his age or birth place. Many people believe he is more than one thousand years old, but still he looks like a young man in his 40s and still living in the wilderness of Himalayas. He is not controlled by the natural laws of birth and death. He can die at his own will or he can live as long as he desires. He can travel from one place to the other in twinkling of an eye. If he desires he can eat, but he does not need any food for living. A cave at Badrinarayan in the northern Himalayas is said to his abode, but in reality he has no fixed place to live. He is always surrounded by a few of his stead fast followers. He generally speaks in Hindi but can talk in any language on earth. 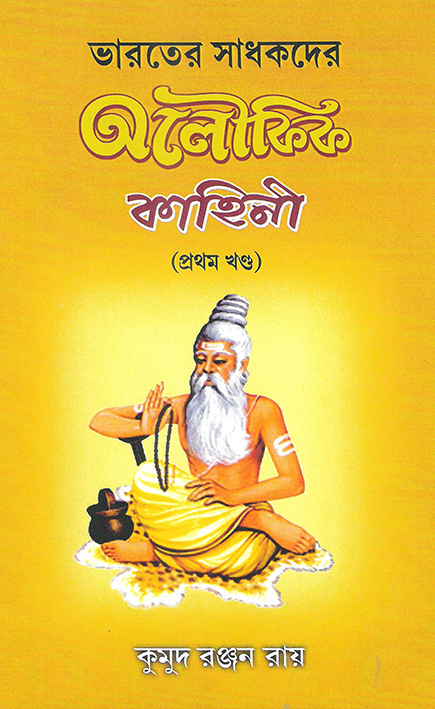 He was the Guru of Jogibar Shyama Charan Lahiri, known as Lahirimahashay. It is an astonishing story how Lahirimahashay met his Guru. It was in 1861 when Lahirimahashya was a 33 year old accountant at Danapur in the Military Engineering Department of the Govt of India. One morning a telegram (*) came from the Head Office asking Lahirimahashya to start immediately for Ranikhet (in the Himalayan district of Almora) to open a new office there. -	He stopped and looked around. He found a Jogi (sage) waiving his hand from over the mountain and asking him to come. He started climbing on the Drongiri Mountain towards the Jogi with confusion in his mind, how he knew his name. -	The Jogi then took him to a nearby cave and asked, “Do you remember this Kamandulu (water pot)”? -	The Jogi then pointed to a folded blanket, “Lahiri, do you remember this Ashan (seat)”? -	Lahiri then showed a little displeasure and said, “I must leave now before the nightfall, I have business to do in the office next morning”. -	The mysterious saint then started speaking in clear English, “Lahiri, this office was brought here for you, and not you for the office”. -	Lahiri asked, “What do you mean”? -	The saint kept on saying. “It was I who silently worked behind the mind of your Manager at Head office to send the telegram to bring you here. He will realize his mistake in two weeks and will send another telegram to wind the office and go back”. -	This added to the bewilderment of Lahirimahashya. He was dumbfounded and did not have a single word to say. 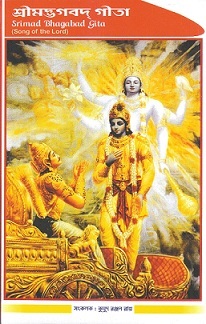 -	At this moment the mysterious saint touched Lahirimahashya’s forehead with his finger. An electric current flowed through his body and the memories of his past life appeared like a movie screen. He saw that Babaji was his guru in his last incarnation and he was doing Sadhana (meditation) in the cave next to his guru’s. -	Lahirimahashay exclaimed, “Guruji” and fell on his feet. 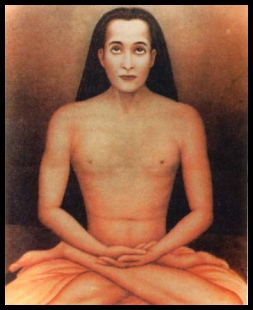 -	Babaji continued,” Lahiri, It is your Karma that you disappeared into the cycle of life and death. Though you lost sight of me, never did I loose sight of you. I pursued you through your journey through the astral sea into the mother’s womb. My eyes were ever on you and I guarded you on every step of your life. I was ever waiting for this opportune moment to meet you. But don’t worry, before another telegram comes I will teach you all the techniques of highest jogic Sadhana. Your role in this incarnation will be to live with the householders and teach them the paths of highest jogic attainments. Soon another telegram came, “Lahiri, your transfer to Ranikhet occurred by error, come back to Danapur soon”. * Telegraphic system was introduced in India by the British Government before 1861.